The large intestine governs the elimination of waste material from the body, the undigested portion of the food that we have taken in. as such it is perhaps the body's most important organ of elimination, removing waste matter from the entire digestive tract, including the left over bile and other digestive secretions. However, the stool does serve a purpose in the large intestine. The bulk of the stool maintains the tone of the large intestine. It supports not only the digestive system but gives stability to the prana and mind as well. Without the proper amount of stool in the large intestine our energy easily gets imbalanced or erratic as Vata becomes aggravated. In addition, the large intestine is an important organ of digestion and assimilation. Its membrane absorbs the energy and the nutrients that build up the bones and the deeper tissues of the marrow, nerve and reproductive. It takes in the prana or deeper vitality from our food that provides deeper reserves of strength and Ojas. Our pattern of elimination shows the final product of our digestion. Proper management of colon is the foundation for treating the digestive system. For this reason, disorders of the large intestine are crucial in all digestive system disorders. Triphala Capsules - 2 Capsules twice daily. After using all these herbs for 15 days, we are sure that you will feel the positive change in your health. These are the best herbal remedies for colon cleansing and IBS described in ancient Ayurveda text and the herbs are recommended by an experienced Ayurveda expert. Colon cleansing is essential to detoxify the body, remove the harmful wastes and parasites and to prevent toxicity. By this, it facilitates the colon to absorb the essential nutrients from the body and eliminate waste matter from the body. So, the sole purpose of colon cleanse is to enhance proper bowel movements, proper absorption of nutrients and elimination of waste and harmful substances. The colon is the organ that directly or indirectly affects the functions of other organs. When it is not functioning properly, the liver does not function properly and then the kidneys and its impact also show on the mental state and even in the skin. It itself can cause a disease and definitely can be a cause for a major of diseases. By a combination of bad diet and bad life style, the colon gets clogged and does not function properly. When the colon does not function properly, the harmful substances are not eliminated and they are circulated back into the system causing various hazards to the health like constipation, Irritable bowel syndrome, spastic colon, chronic fatigue, acid reflux and even skin and hair problems. It becomes the basis of various diseases, if it is not clean. In any disease condition we should always s examine the large intestine and make sure to bring its functioning back to normal as one of the first steps of treatment. So, to prevent such complications it is very necessary to cleanse the colon and maintain the proper function of the bowels. Also, when it functions properly, not only the body is clean but also it brings about a clarity and enthusiasm of the mind. It enhances the proper functions of the other organs. And improves the immunity and a person who has a proper bowel movement, whose nutrients are absorbed properly and wastes eliminated properly, does not get afflicted to disease easily and can be free from such symptoms. A person is said to have a healthy colon if he has 1-2 bowel movements a day. The time of transit of food should be within 24 hours. When the colon is clogged with toxins, it gets back to the circulation and it makes a tougher time for the liver to eliminate the toxins. i.e. when the colon is clogged, the liver is overloaded with toxins and becomes congested and again the toxins are back into the blood stream and can land anywhere in the joints, brain or other organs. Again, the kidneys become burdened by the extra pressure, which contributes to the vicious cycle. So, colon cleansing also represent to stimulate the liver to cleanse the body and restore good health.
? 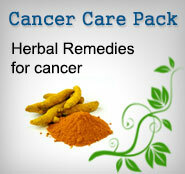 There are certain Herbal Products that are useful in cleansing the colon. These products helps in improving the functions of the liver, the colon; absorption of essential nutrients and elimination of harmful toxins from the body. This tablet (Ayurvedic formulation) contains ingredients such as Triphala, Shuddh Parad, Shuddh Gandhak, Abhraka bhasma, Tamra bhasma, Shuddh Shilajit which serves the purpose of improving the digestion and absorption of the body. All these herbs are found to enhance the functions of the liver and spleen thereby facilitates proper absorption and proper elimination. These drugs eliminate the harmful toxins of the body. They are also helpful in removing the intestinal parasites. They possess properties such as digestive, carminative and diuretic. All the ingredients in it serve as hepato-protective. So, the nutrients that are required for the body is readily absorbed by the body and the toxins that are harmful to the body are eliminated. By this, it prevents constipation, indigestion, improper bowel movements and even unwanted weight gain. They are also rich in anti-oxidants and thereby a good tonic for general health and to improve the immunity power. 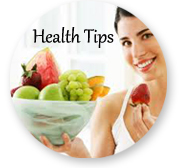 Dosage:1-2 tablets twice daily, before meals with plain water. This Churna (Ayurvedic formulation) contains natural herbs such as Phyllanthus niruri, Picrorrhiza kurroa, Solanum indicum, Boerrhavia diffusa, Andrographis paniculata, Eclipta alba, Tephrosia purpurea and Cichorium intybus. These herbs are useful in the liver detoxification. These herbs are beneficial in treating liver disorders. They prevent the torpidity or sluggishness of the liver, biliary stasis or stoppage of the bile. They actually promote the secretion of the bile and therefore very good for enhancing the functions of both liver and gall bladder. They thus remove the toxins from the body by proper elimination and make the liver active and thus the essential nutrients are absorbed by the body. Picrorrhiza kurroa yields a glycosidal bitter principle, kutkin, which exhibits hepato-protective activity. Picroliv, a standardized fraction of the plant shows to enhance the functions of the liver. It also exhibits property to break down the lipids. Cucurbitacin glycosides, another constituent of the plant also show hepato-protective, tumor inhibitory and anti-inflammatory activity. So, this herb is useful in breaking down the fat substances and flushes out the toxins as well. i.e. they also help to breakdown indigestible material and convert them into smaller molecules and prevent fermentation. Vitamin C, beta carotene, vitamin E and N-acetyl cysteine (NAC) are all powerful antioxidants that are useful in liver detoxification. These vital constituents are present in the herbs of Yakritplihantak churna. The plant, another ingredient of this Churna shows effect on liver cell regeneration. It also possesses anti-hepatotoxic and immunoactive properties. Similarly, the herb Tephrosia purpurea possesses such properties that are beneficial for the liver. It is effective in treating bilious febrile attacks and insufficiency of the liver. The powdered aerial parts prevented elevation of bilirubin levels. It possesses hepato protective activities and is useful in flushing out the toxins from the blood. Similarly, Boerrhavia diffusa acts as a diuretic as well as hepatoprotective. The diuretic action of the drug is attributed to the presence of xanthone, beta-ecdysone. The plant expels out the toxins and stimulates the kidneys as well as the liver. Dosage: 1 teaspoon twice daily with warm water, before meals. It is nothing but the most common Ayurvedic formulation, 'Triphala', which comprises of Harithaki, Bibitaki and Amalaki. It acts as an excellent colon cleanser and makes the person pass bowels without any difficulty. It is excellent for constipation in any of the three doshas. It is a great colon cleanser as well as a tonic and rejuvenative for the colon. Moreover, it nourishes the organs, the bones and nerves and improves the appetite. As a metabolic regulator, it will reduce fat in overweight conditions, while building the muscles, nerves, and blood in underweight conditions. Each of these drugs has its own renowned properties by which the formula works wonders in the digestive system. It also improves the functions of the liver and paves way for easy absorption of nutrients and elimination of waste matter. This formulation works excellent for all types of indigestion, bloating, constipation, hard bowels, flatulence etc. each of this drug is bestowed with such properties that they are excellent rejuvenators and are good for the total health of the body. They are a rich source of antioxidants, so they maintain the good health of the body. They are also useful in removing the intestinal parasites from the body. Also, it improves the functions of the kidneys and liver. On the whole, they are good for the total metabolic harmony. In Harithaki, the purgative principle lies in the pericarp of the fruit. This drug is also useful in removing the intestinal parasites. It enhances the functions of the liver and acts as mild laxative. By acting as a laxative, subsequently it eliminates the parasites from the colon. It is a good drug to remove the harmful toxins from the body and nourishes the whole body. The Bibitaki is also useful in treating conditions like dyspepsia, biliousness, constipation etc. it is also useful in case of worm infestation. It also possesses hepatoprotective activity. As for the Amalaki, it is a well known drug for its multiple benefits in the human body. Here, it enhances the functions of the liver and absorption of nutrients. The fruit is an important source of vitamin C, minerals and amino acids. It is effective as a gastrointestinal tonic. It improves the body resistance and protects the body against infections. The extract of the fruit and ascorbic acid prevented hepatotoxic and nephrotoxic effects induced by aluminum and lead. The toxicity counteracted to a great extent by the fruit extract than by an amount of ascorbic acid alone equivalent to that contained in fruits. Thus, the fruit is also useful to counteract prolonged exposure to metals in the industrial areas. So, it is useful to remove the harmful toxins from the body as well as it maintains the metabolic harmony. On the whole, this herbal formulation is excellent for colon cleansing in a very natural way. It regulates the bowels and enhances proper absorption of nutrients and elimination of toxins from the body. They possess antioxidants and flavonoids and maintain youthfulness of the body and improve the immunity of the body. It serves as a tonic for the health of the whole body and serves as excellent rejuvenators. Dosage:1 teaspoon twice daily with warm water after meals. Again, this formulation is nothing but same as the Vara Churna (mixture of Harithaki, Bibitaki and Amalaki). And possesses the same properties. The only difference being, it is available in capsule form and easy to consume. Dosage: It can be taken in the dosage of 2 capsules twice a day with warm water. Before going to the herbs, it is a very important and quite a common fact that drinking water is very necessary to maintain a healthy colon. A person should at least drink two and half to three litres of water per day to maintain a healthy digestive system. And if it is warm, it is much better. Herbs like ginger and pepper are useful in stimulating the bowels. Similarly herbs like garlic, cumin, and fennel help in killing the harmful bacteria in the colon. They also prevent bloating and gas formation. They also remove the unwanted fats from our body. Aloe vera is also useful in relieving bowel irritation and constipation. But it is useful for an occasional constipation. Although it acts a laxative, sometimes in heavy dose it may cause griping and is contraindicated in acutely inflamed intestinal diseases, ulcerative colitis and appendicitis. However, it is good for constipation along with fever or delayed menstruation, when taken in a mild dose. Also, barberry bark is a bitter herb that enhances the bile flow and acts as a laxative. Peppermint relieves constipation, indigestion and cramps. Psyllium husk powder, 1 to 2 teaspoon mixed with warm water taken before sleep acts as a good laxative and does not cause griping.